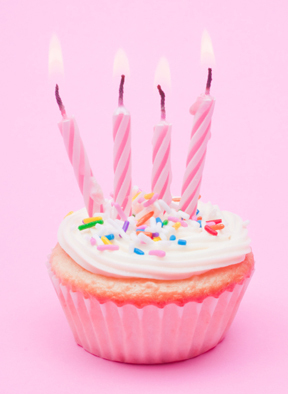 The Quiltzette: Happy Anniversary to Us! Join us on August 20th when Karen will demonstrate the many features and benefits of the new BERNINA Q20 sit-down longarm machine. Then you can test it out for yourself! 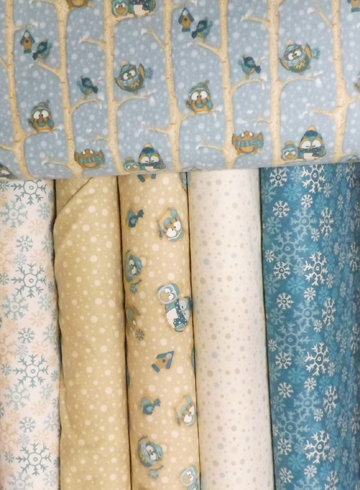 This darling flannel collection arrived last week. Need a gift for a new baby? This is perfect for either a boy or girl. Our summer series went so well that we're offering youth classes throughout the fall on the second and third Wednesday of each month. Here are the initial classes. 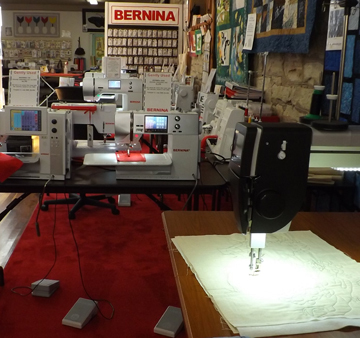 We love our BERNINA machines so much that we decided they deserve red carpet treatment. Come by the shop to see our newly re-decorated sewing machine department. 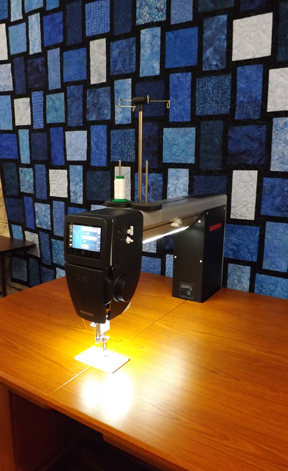 While you're here, sit down to try out the new Q20, 790 embroidery machine, the amazing 770 Quilter's Edition, or one of our gently used machines. 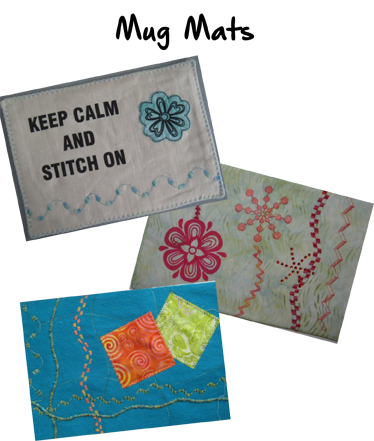 Mug mats are fun to make, use, and give as gifts. 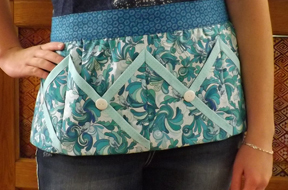 Techniques covered this month include using artist transfer paper, raw edge applique, free motion quilting, couching, and using DesignWorks tools. Bring your machine (or use one of ours) if you want to make a mug mat after the presentation. Please call 970-565-7541 or e-mail Cindy by noon on Tuesday to reserve your space. 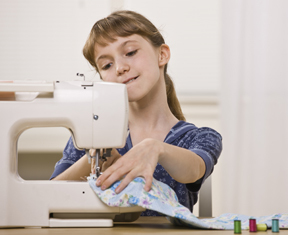 You do not need to own a BERNINA to attend this free event. 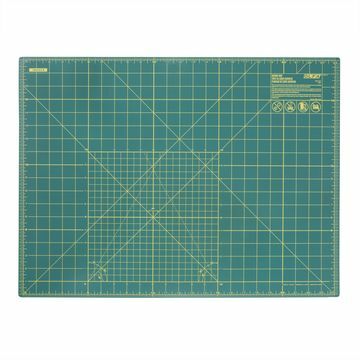 A good quality cutting mat is an essential tool for quilters. We carry OLFA® self-healing mats which we think are the best on the market. Here are some tips on caring for and prolonging the life of your mat. Do not expose your mat to extreme heat (e.g., in the car on a sunny day) or cold. Either can cause damage. To clean your OLFA® mat, use a generous amount of room-temperature water and a few drops of mild detergent. Use a soft, mild-bristle brush such as a toothbrush or mushroom brush to create a lather and gently clean your mat. Rinse with room-temperature water and wipe dry with a cotton towel. A new mat sometimes emits a bit of "plasticky" odor. Wipe it down with a soft cloth and a mild vinegar/water solution, rinse, and let it dry. That usually solves the issue. Use a sharp rotary blade so that you're not pressing unnecessarily hard onto the mat. Don't use other types of blades on the mat.